Good size unit for a dorm room, one that could deliver up to eight air changes of air per hour in a 200 square feet to 300 square feet area. This unit is portable, with wheels, they can be easily moved around from room to room (rooming house), quiet to use in the bedroom at night, or in the living room while watching TV or listening to your favorite music, variable speed control, no installation or ducting needed. This unit is pleasant to look at, well made, well designed, well engineered and carries a 5 Year Fan warranty (parts and labor). Do you live in a condo, condominium, or apartment and your neighbor is a chain smoker? We know, it ain’t funny, specially if you are sensitive to the odor, smell of cigar, cigarette, tobacco smoke, and let’s not forget exposure to second hand smoke (reduce your exposure to second hand smoke). Good size unit for a condos, condominiums, or apartments, one that could deliver up to four air changes of air per hour in a 400 square feet to 500 square feet area (could be use in up to 1000 square foot area but that means the air changes of air per hour would be less) – that means that the air in that amount of space gets filtered every 15 minutes or so. This unit is portable, with wheels, they can be easily moved around from room to room, quiet to use in the bedroom at night, or in the living room while watching TV or listening to your favorite music, variable speed control, no installation or ducting needed. Quatro Air has been the OEM supplier of choice for numerous manufacturers of laser engravers and cutters. Working closely with the manufacturers has allowed us to constantly improve our products and custom design the next generation of air filtration for the laser cutting, marking and engraving industry. 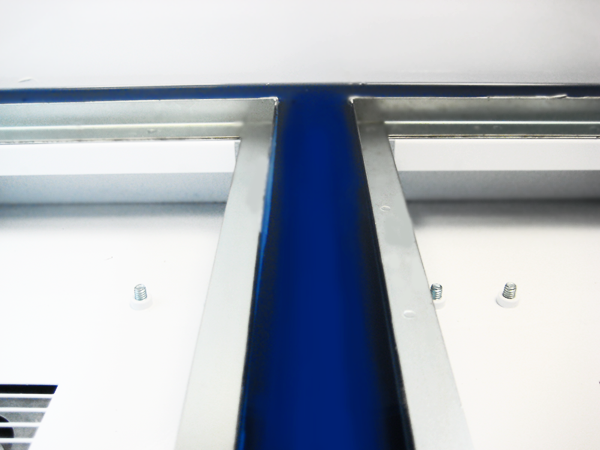 We have been supplying units to the industry for the past eight years and are now on our fourth generation of product with innovations such as our zero bypass Laser Blue Gel. Manufacturers and customers have done extensive testing when comparing our units to our competitors and time and time again we hear that our units are more powerful and quieter. We are confident that no other manufacturer of air purification systems can provide such industry proven technology that can compete with Quatro Air. 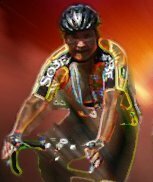 We are proud to introduce our new breakthrough technology. We call it the LASER BLUE GEL. 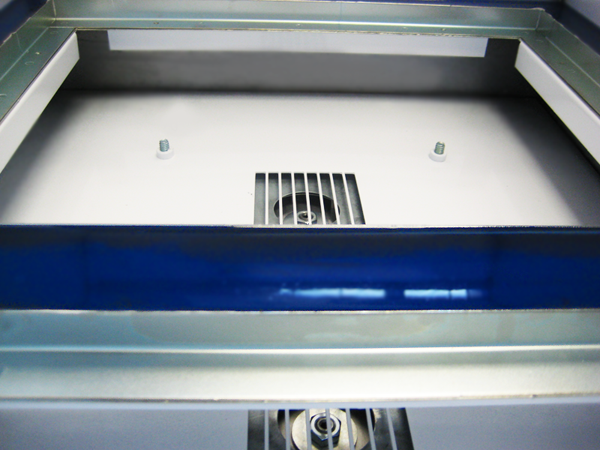 This sleek blue design is nothing like the regular gasket you may find in other filtration units on the market. 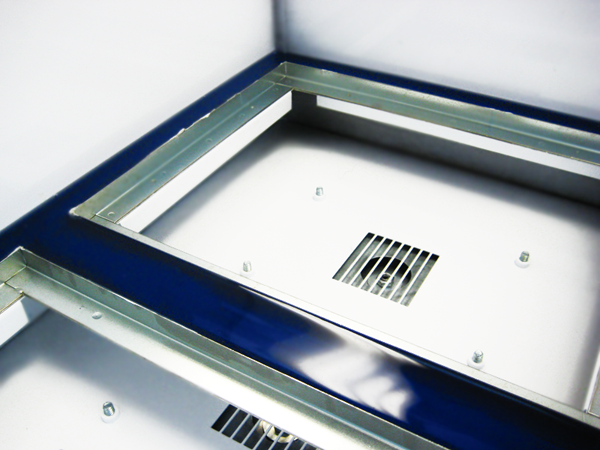 Due to it's elasticity, it allows zero bypass to any fumes, odors and VOCs. It's NON toxic and NON porous as well. Click on the above thumbnails. We offer Air Filters, Filtration Systems that incorporates chemical odor as well as airborne dust particle filtration and removal. Strategy is having a source capture (the one with a hose) as well as a room, area, recirculating air filtration system with a 4" Activated Carbon Filter (below). Our most popular line of air purifiers, with the most available options and the best value for maximum air cleaning. 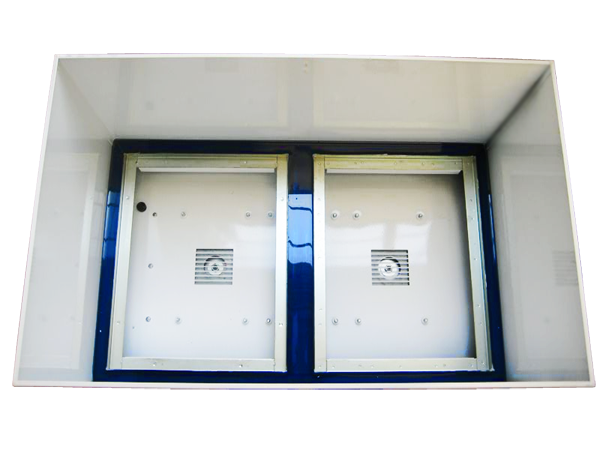 Choose from this series for the ideal indoor air quality solution for most homes and businesses. Customize your air purifier with a UV light to provide additional protection from viruses, mold and bacteria. Add a photo catalytic reactor to your UV option for the most advanced protection! Call toll free: 1-800-626-0664 for help and advice in choosing the right air filter system for your home, office, or business. Indoor air, specially during the winter months when insulating and sealing out the outside cold air from sipping indoors, could be compromised – trapped dust particles, from linens, beddings, clothing, carpeting – chemical contaminants, chemical gas, fumes, odors from burning wood in fireplaces, wood stove, household cleaning products, air fresheners, perfumes, fragrances, candle burning, strong household disinfectants such as bleach and others – yes, your indoor air quality can be improved using a good air filter system. We offer a clean air solution to your indoor air pollution. Here are some air cleaners, air purifiers, and air filtration systems (different names- same function, which is basically to clean your indoor air) to take a look at. Feel free to call us on our toll free line for help and advise in choosing the right model for your use. series is designed with 360-degree air intake, allowing for greater contact with particles and more effective filtration. 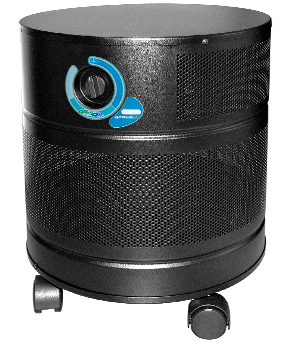 An additional 18-25 pounds of activated carbon round out this remarkable air purification system, providing additional protection from airborne chemicals, gases and odors, to which allergy and asthma sufferers may also be sensitive. Replace every 12 to 24 months or as needed. A serious air purifier for larger homes and businesses. 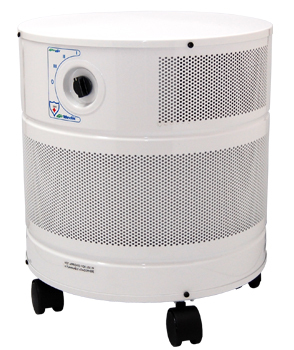 An ideal unit to offer truly complete air cleaning, removing chemicals, particles, gases and odors. Now available in the MCS, multiple chemical sensitivity configuration. Allerair 5000W-VOCARB (shown with optional 6' x 3" flex hose arm) - great for capturing, filtering, large airborne dust particles as well as fine dust, respirable dust particles down to .3 micron size. As a standard feature, it comes with 18 pounds of VOCARB special blend activated charcoal / carbon filter for chemical fumes, soldering fumes, chemical odor / gases, smoke odor, and other airborne chemical gaseous contaminants. Other activated carbon filter configurations available. Tobacco smoke poses a unique indoor air quality concern. Not only does tobacco contain chemicals, odors, and smoke particles; those particles contain tar which block up conventional particle filters in air purifiers. An air purifier for tobacco smoke must be able to combat all of these concerns without having the tar quickly ruin the filters. Comes with Tar-Trapping filter, a specially coated filter that removes tar before it can damage the other filters.